Below are some great coupon codes that I have been able to collect for you lovelies. Some of these links I receive commission for, and others I do not, but please remember I only write posts about brands that I truly like, and have had personal experiences with. If you want to read further about me receiving commissions or my stance on honest reviews you can check out my Disclosure page. I have been so happy with the wide range of natural products from Whiffcraft Naturals. Check them out if you’re interested in natural deodorants, essential oil sprays, and more. Whiffcraft Naturals Disccount Code: “REFACPSLVE4ZW” for $5 off a purchase of $30 or more. If you’ve been following me for a while you’ll know that I absolutely love the Fab Fit Fun subscription box. If you want a sneak peak into what you’ll get check out some of my reviews here, here, and here. MOTD Cosmetics makes some great makeup brushes. They’re super soft, and work really well and are completely vegan! Use the link below with the coupon code for 10% off your purchase. Miiko Skin Co creates natural, good for your body, beauty products. Use the link below with the coupon code for 10% off your purchase. I have been so impressed with the quality of My Purse Connection’s handbags. Check them out if you’re interested in supporting emerging and independent designers who supply a quality product that will last you for years. 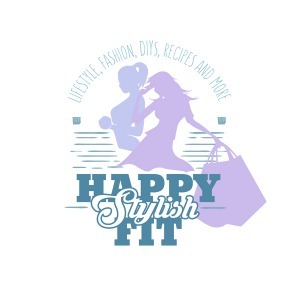 My Purse Connection Coupon Code: “HSF10” for 10% off. I had been seeing Ilymix scarves around on Instagram for so long before I finally took the plunge, and I’m so glad I did – within a month I ordered 2 more! They’re super soft and cozy, and they have some awesome designs. Use the link below to receive 10% off your purchase. HSI Professional is your one stop shop for your hair styling needs. I am in love with all of my HSI products – my hair feels soooo healthy even though I’m styling it with heat more often! HSI Professional Coupon Code: “VIPHSF” for 15% off. If you follow me on Instagram you’ll know that I’m completely obsessed with my Kinsley Armelle pieces. I love the combination of stones and crystals, and they’re well made at an affordable price. Use the link below with the coupon code for 15% off your purchase.